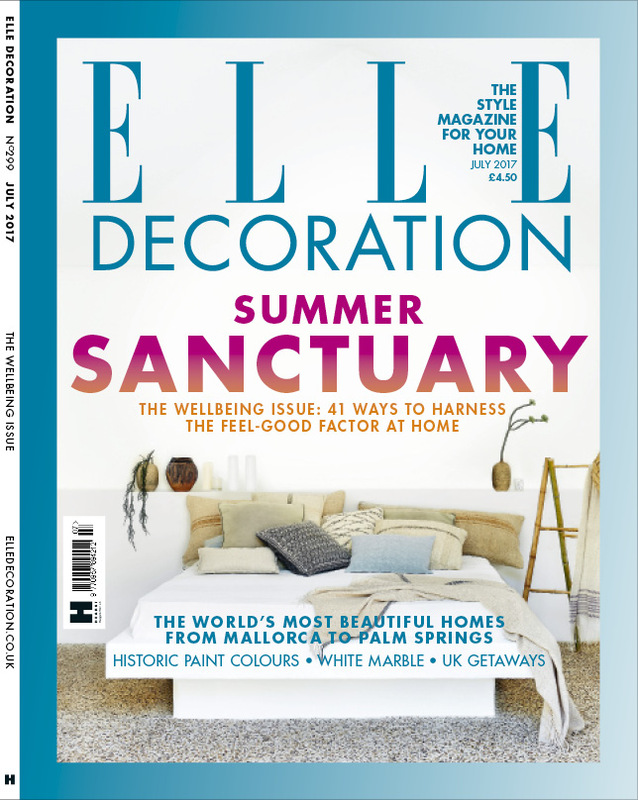 Welcome to our Summer special edition, which this year is devoted to ‘wellbeing at home’. Why? Because we figured that we all tend to feel better about life, ourselves and the universe when the sun shines, and we wanted to explore how to harness that feeling, all year round. But, what has this to do with interiors? Well, I fervently believe that our homes have the power to physically affect our health and happiness. Home should be a place that rejuvenates and restores. And, as Editor-in-Chief of ELLE Decoration, I’ve been fortunate enough to see inside many different homes, and the ones I’ve chosen to publish deliberately cover a variety of looks, sizes and locations. However, they always have one thing in common: they are homes that their owners cherish, and that are showered with attention and affection accordingly. They are homes, whatever the owner’s style, that leave you feeling uplifted and inspired. This to me is the real key to creating a personal sanctuary, and this issue’s home selection shows you how it can be done. But it’s beyond just interior decor; the importance of the home is also in its position as the fulcrum around which your life should function. After all, the five commonly cited ways to wellbeing are as follows: connect with the people around you; be active; stay curious; keep learning; and give. Consider the pleasure of having friends gather around your kitchen table for a quick supper, or the ease with which a family can connect if there’s a dedicated area that’s not in front of the TV. Or the joy in being able to practise yoga in your lounge if you made space to do so. Online learning is more appetising if you’ve created a home office, however small, and a cosy chair makes reading more comfortable – try any from the inspirational The Do Company (see right) for starters. Plus, helping others can be as simple as lending a listening ear with a cup of tea on your sofa. How nice to be able to offer all of that in your heart of health, your home: centre of your universe.